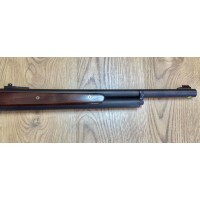 MR1 is the semi-automatic rifle that better symbolizes all that Benelli energy, versatily and r..
Great Little Lever action with an extremely smooth action.Traditional iron sights mounted on the bar..
Ruger® Rapid Deploy folding rear sight provides windage adjustability, and pairs with the elevation ..
Sabatti rifles are cold hammer forge barrels. 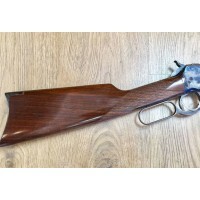 By controlling the entire barrel manufacturing process..
Target bolt-action rifle for precision long distance shootingOverboared barrels – between 22 and 27 ..
Target bolt-action rifle for precision long distance shooting Overboared barrels – between 22 and 2.. Calling the Sako 85 Hunter a standard is a serious understatement. It comes with world-class Sako f.. 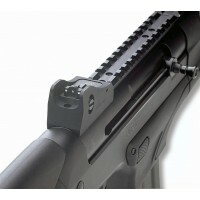 The SIG SAUER advanced short-stroke pushrod system reduces carbon fouling, excessive heat andunburne.. The SIGM400 Classic is designed for use in law enforcement, military operations, or the sporting fie.. 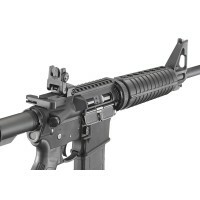 The Stag Arms AR15 offers a high quality, durable, military proven M4 design. This rifle is currentl.. Consistent accuracy, be it at the range or on the plains. The free-floating barrel of the Tikka T3 ..
T3x has a new modular synthetic stock that has interchangeable pistol grips, making it possibleto mo..